Morahan’s Bar offers an authentic Irish Bar experience, through unselfconscious hospitality and gentle charm that hails from an older, less busy era. Nestled in the town of Ballinagare, Co Roscommon on the main Dublin to Westport Rd, the bar has been in the same family since 1641. Alot of Irish pubs lay claim to being the oldest in the country, but few if any can prove it. 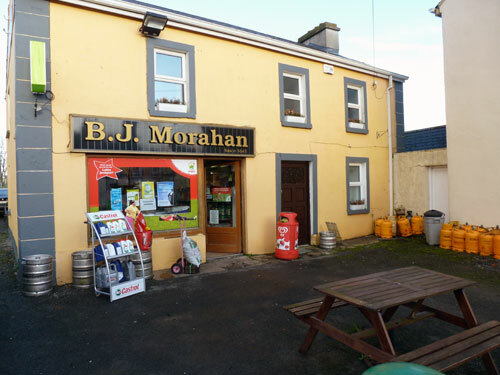 Morahan’s Bar has documentary evidence in the form of a licence that dates back to 1841. Drop in for a pint by the fire and a chat by the bar, we look forward to seeing you.